Can I afford a Hearts and Arrows diamond? 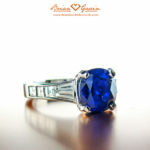 Should I buy a J color diamond for an engagement ring? Can you afford not to buy a Hearts and Arrows diamond? 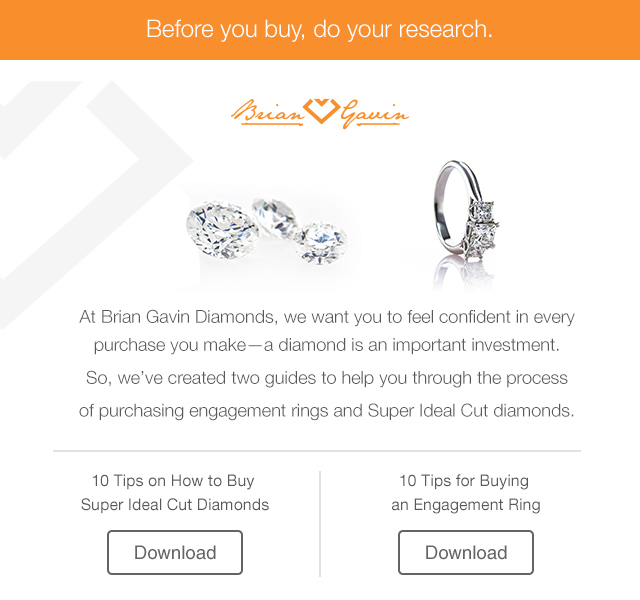 Perhaps a better question is whether you can afford not to buy a hearts and arrows diamond. After all, you're about to plunk thousands of dollars down on a rock. All right, technically it's a mineral, but don't you think it makes the most sense to buy the most spectacular looking diamond you can afford? 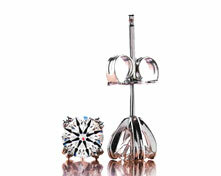 The picture to the left is an ASET Scope image for a GIA Excellent cut diamond with ideal proportions. The translucent section that borders the edge of the table facet represents light that is leaking out from under the table facet. 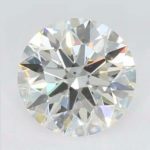 We found the diamond to the left on a competitors’ website selling for $34,866.00 which seems like an exorbitant amount of money to spend on an "ideal cut diamond" which is leaking light like a sieve. Notice how dark the same GIA Excellent cut diamond faces up in the clarity photograph provided on the left. 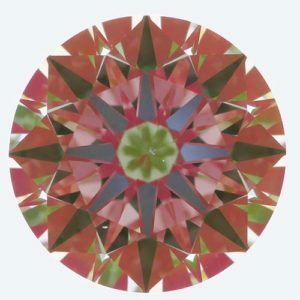 The light performance of this diamond would be better if the cutter took more time to improve the degree of optical precision. 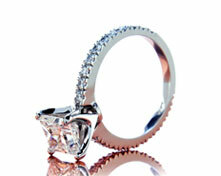 That is the consistency of facet shape, size, and alignment as the cutter polishes the facets of the diamond. 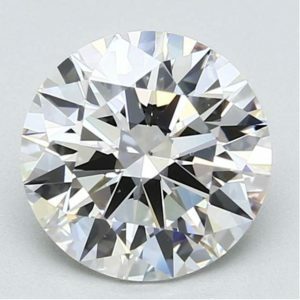 Most people wrongly assume that an overall cut grade of AGS Ideal or GIA Excellent is good enough. 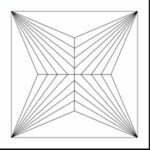 The fact is that neither gemological laboratory takes the degree of optical precision into account as part of their grading standards. Moments like the one picturing our clients Brendon and Roshi above are even more special because of the superior light performance that Brian Gavin Signature hearts and arrows diamonds produce in lighting conditions where others pale by comparison. Obviously, anybody who is buying an engagement ring can afford a hearts and arrows diamond. The dilemma that many people face is deciding what combination of carat weight and characteristics provide the look they desire. Your decision to purchase a Brian Gavin Signature Hearts & Arrows diamond reflects your commitment to value. 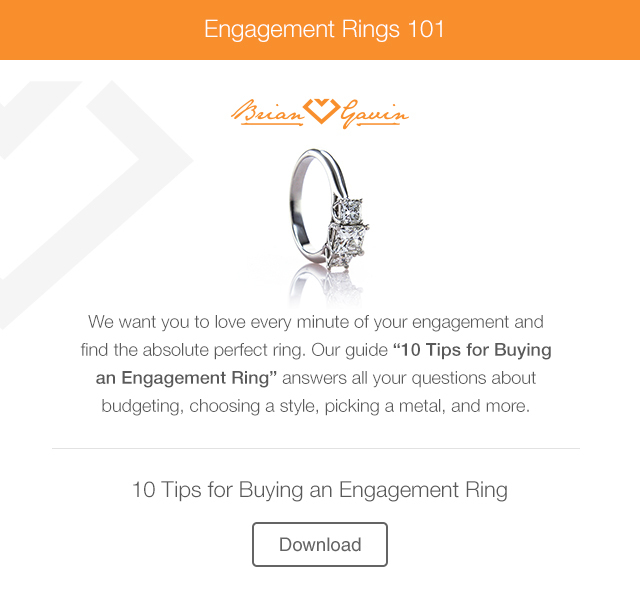 Not only does buying a BGD Signature diamond ensure that the rock on your fiancé’s finger sparkles like no other, but it also shows that you recognize the importance of making a prudent investment when logic dictates. 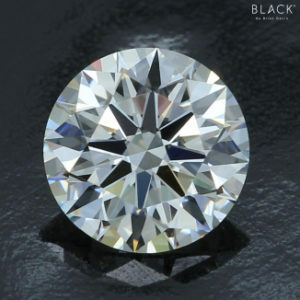 It is far wiser to invest in a diamond with the quality and light performance of this 1.737 carat, G-color, VS-2 clarity, Black by Brian Gavin hearts and arrows diamond than spending that amount on a standard ideal. 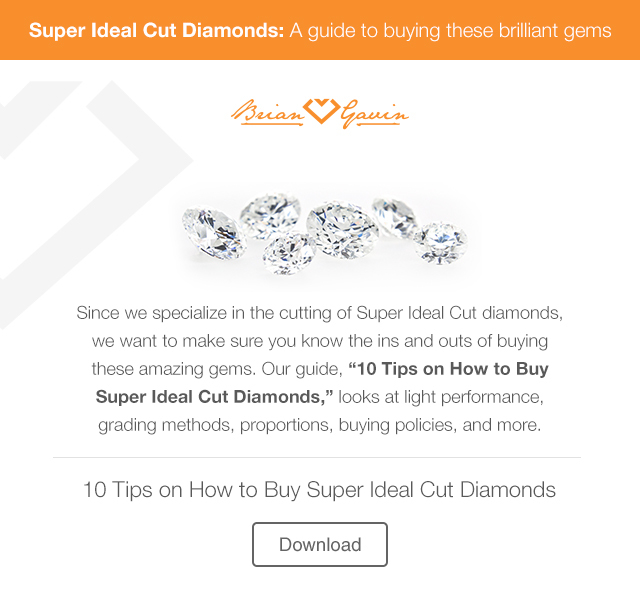 The reality is that the majority of ideal cut diamonds are incapable of delivering the same performance as Brian Gavin Signature diamonds. With that in mind, can you afford not to buy a hearts and arrows diamond? It seems to me that the higher value is clearly evident in the clarity photographs provided. The only question that remains unanswered is which Brian Gavin Signature hearts and arrows diamond you will buy? Which is as simple as deciding which combination of carat weight, color, and clarity best suits your preferences and price range. Hearts and Arrows, is it possible in a princess cut? This entry was written by Danny, posted on May 7 at 8:48 am, filed under Diamond Education. Bookmark the permalink. Follow any comments here with the RSS feed for this post. Trackbacks are closed, but you can post a comment.